Limited distribution Vintage Collection Star Wars action figures from the entire Star Wars saga! The classic Kenner-style Star Wars packaging you remember has been applied to the newest films and even The Clone Wars TV show! 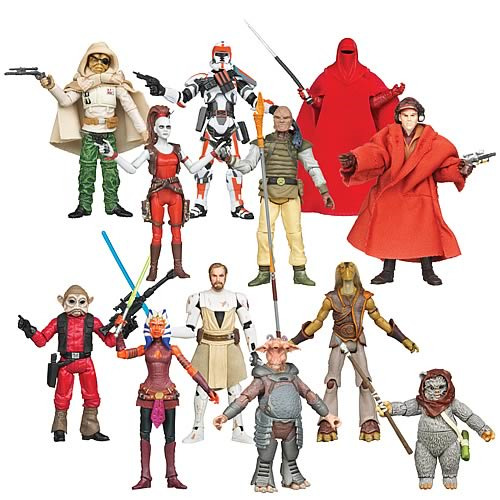 Case includes 12 new-to-Vintage packaging Star Wars heroes, villains, scoundrels, and more with 8 new newly decorated and/or sculpted figures like the modern line debut of Lumat!